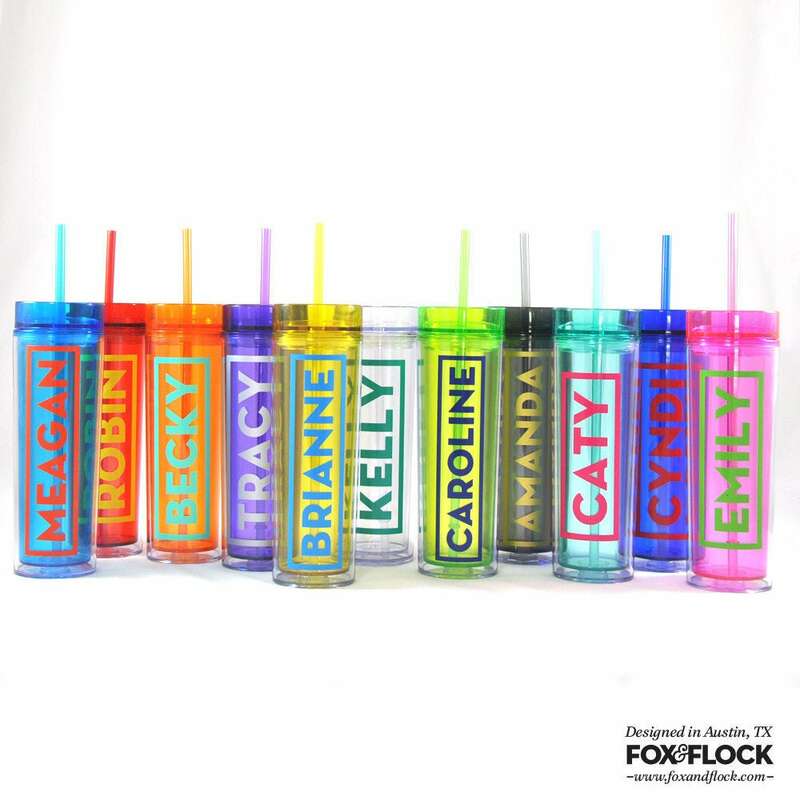 What party isn't complete with a personalized cup? 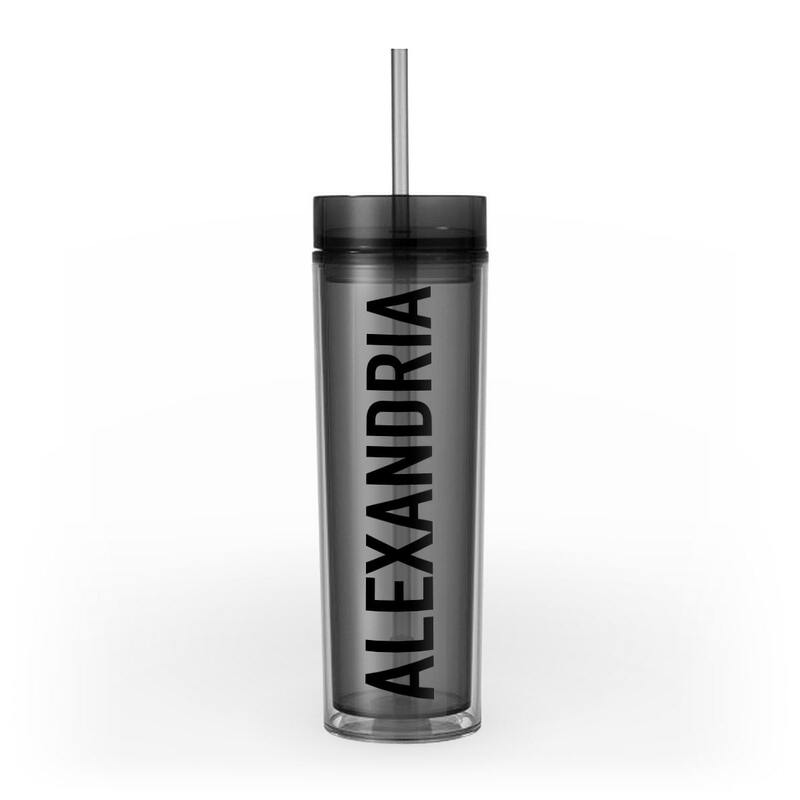 Keep those beverages cold or hot in this double-wall insulated tumbler. And everyone will know it's yours! Stay hydrated in style this summer. Grab yours today! • Approximately 8.5" high and 2.75" wide. • Available in other colors - find them in the shop! • Please choose color and style from drop down menu. 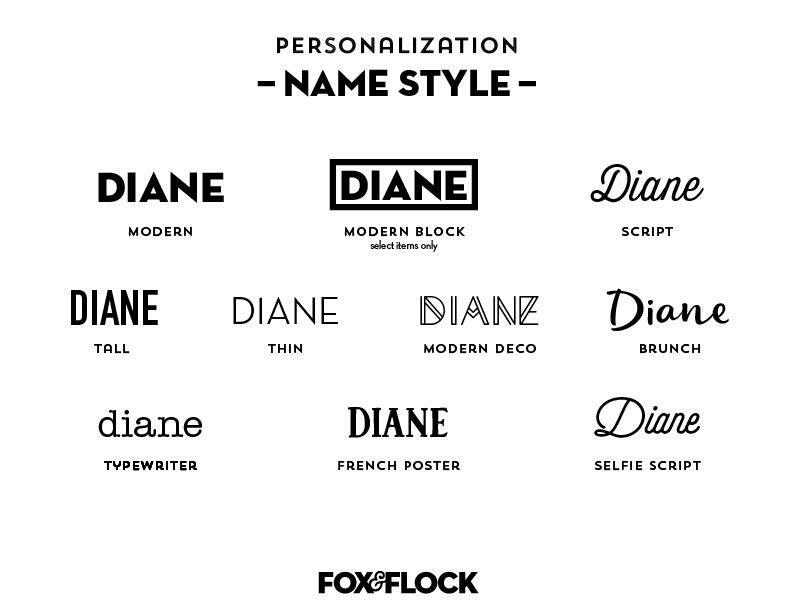 • Personalize it! Please enter name for personalization below. • This item ships via USPS unless otherwise noted or upgraded. • This item is made-to-order. Please allow 3-5 business days for production. • Have a custom color option in mind? Message us and we can do a custom order. • We have done our best to accurately represent the color options. Due to variances in monitors and computer settings, we can not guarantee an exact match. • Need more? Message us with inventory questions. We offer bulk discounts starting at just 6 items. • Check us out on Instagram - @foxandflock for the latest updates and coupons! Please leave personalization details in the "notes to seller" box at checkout. For paper goods we do our best to accommodate custom color requests. 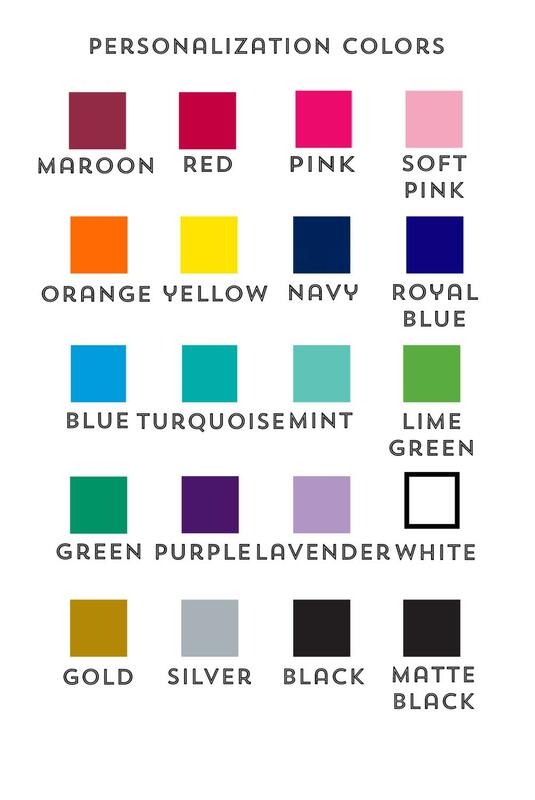 Please submit a custom order request or drop us a message to ensure color availability. All of our products are BPA-free. 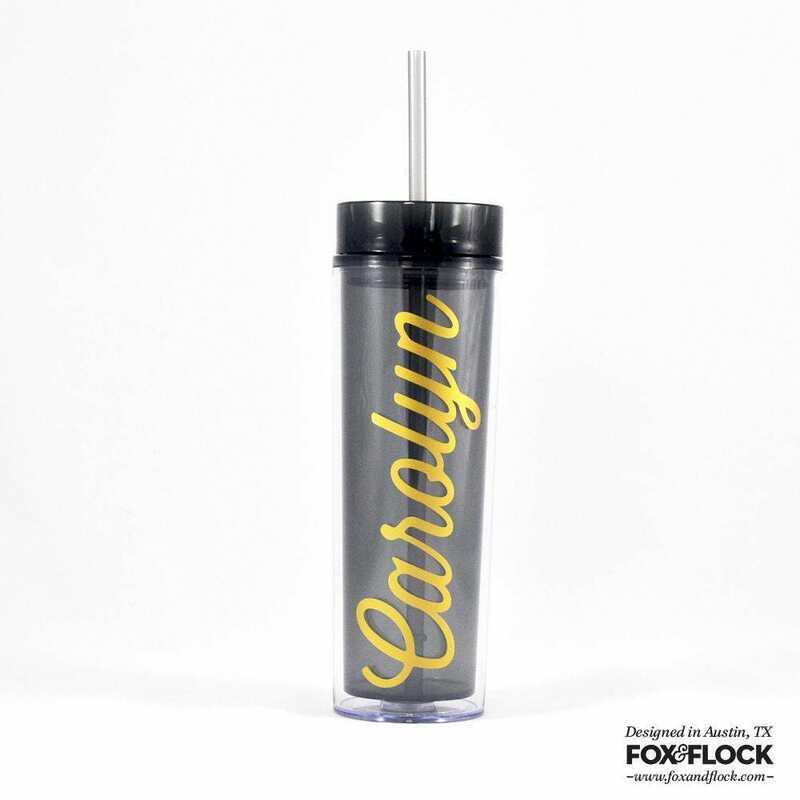 While some items are dishwasher-safe we do recommend hand-washing all our drinkware to ensure longevity of the personalization and products. On vinyl personalized products we use a long-lasting outdoor-rated vinyl. This means it's rated for use in outdoor elements for 6 years. We are happy to help make your gift a special one. Please include a custom gift message in the "notes to seller" at checkout and we'd be happy to include a handwritten gift note in your package. Please take care to choose an accurate shipping address when placing your order. Many of our items have a short production time and our shipping process is very automated. We can not be responsible for address changes. If we receive a request, we will do our best to enter the change, but it is not a guarantee. Any charges incurred in re-shipping the item will be at the customers' expense.